CALAVERAS COUNTY, Calif. -- The severe weather hitting Northern California has claimed an iconic tree in Calaveras County, reports CBS Sacramento. 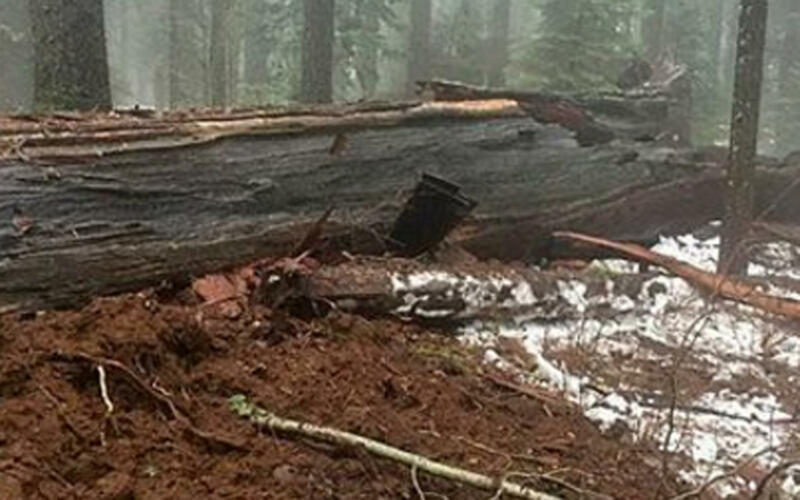 The Pioneer Cabin tree, known for having a hole that enabled visitors to drive or walk underneath it, was toppled by the storm, the Calaveras Big Trees Association said posted on Facebook. The hole in the tree was cut in the 1880s to enable tourists to pass through it at the request of James Sperry, founder of the Murphys Hotel, to compete with nearby Yosemite’s pass-through trees. Park volunteer Jim Allday, of Arnold, California says the tree shattered as it hit the ground. There was no immediate word on what caused the tee to fall, but the San Fransisco Chronicle reports it probably had to do with the tree’s shallow root system and the heavy rain.